The heart is a vital organ made up of a complex combination of muscle, blood vessels, heart valves and nerves. The perfect interplay of each of these components will lead to the proper functioning of the heart – pumping blood rich in oxygen and nutrients to all parts of the body. The blood exits the heart and enters the main artery of the body, called the Aorta, which subsequently gives off branches to supply the various parts of the body (e.g. organs and muscles). The blood vessels (arteries) supplying the heart are also known as the Coronary Arteries. There are usually 3 main arteries supplying the heart – the Left Anterior Descending Artery (LAD), the Left Circumflex Artery (LCX) and the Right Coronary Artery (RCA). These arteries bring oxygen and nutrient-rich blood to ensure the normal functioning of heart muscles. Blockages in any of these arteries will result in damage to the heart muscles that it supplies. The heart muscle contracts and relaxes to push blood out of the heart into a major artery called the Aorta. Damage to the heart muscle will impact on the ability of the heart to supply blood to the rest of the body. The Conduction System of the heart, also called the “nervous system” or “electrical system”, coordinates the pumping function of the heart muscle. Disease of the conduction system results in arrhythmias which can cause the heart to beat irregularly, too slowly or too quickly. The four Valves of the heart open and close to ensure that blood flows forwards, rather than backwards, when the heart contracts and relaxes. If there is incomplete opening of a valve due to disease, it will result in inadequate forward flow of blood. On the other hand, if a valve does not close completely, it will result in a leakage of blood against the direction of the normal flow. The Aorta and the peripheral blood vessels of the body also act as important conduits to bring blood to the rest of the body. Diseases of these vessels (most commonly blockages or abnormal enlargements (aneurysms)) can result in damage to that particular body part that it supplies. Coronary artery disease, also called coronary heart disease, is a result of cholesterol-laden plaque build-up in the coronary arteries — a condition called atherosclerosis. The arteries become narrow and rigid, restricting blood flow to the heart. The heart becomes starved of oxygen and the vital nutrients it needs to pump properly. Coronary Artery Disease is the No. 1 killer in many developed countries. Atherosclerosis normally begins in the second or third decade of life. The rate that it progresses depends on the dietary and lifestyle habits (such as smoking or sedentary lifestyle) as well as cardiovascular risk factors (such as Diabetes Mellitus, Hyperlipidaemia, Hypertension). Cardiac ischemia occurs when the inside of an artery narrow to a point where it cannot supply enough oxygen-rich blood to meet your heart’s needs. This results in symptoms such as chest pain and shortness of breath on exertion. What are the symptoms of Coronary Artery Disease? Atypical symptoms of Coronary Artery Disease are more common in the elderly, females and diabetic patients. How is Coronary Artery Disease diagnosed? How is Coronary Artery Disease treated? Medical treatment is necessary even if one undergoes coronary angioplasty or bypass surgery. Also known as Percutaneous Coronary Intervention or Stenting. This is a minimally invasive procedure that usually involves the ballooning of the artery to first open up the blocked artery, followed by the implantation of a Stent to act as a “scaffolding” to keep the artery open. If multiple arteries are blocked, especially in diabetic patients or if heart function is impaired, open heart bypass surgery may be recommended as the preferred treatment for Coronary Artery Disease. A Heart Attack, also known as Acute Myocardial Infarction or Acute Coronary Syndrome, occurs in a patient with Coronary Artery Disease. It occurs when the surface of a cholesterol plaque in a coronary artery suddenly tears or ruptures. This leads to the formation of a blood clot, which can lead to a critical blockage of the artery. 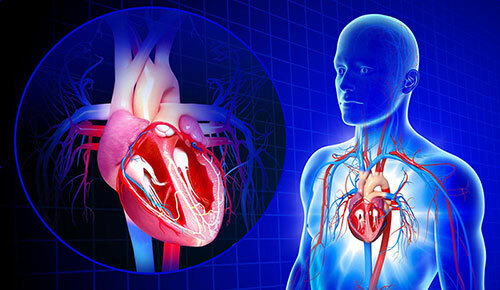 Consequently, blood supply to that particular portion of the heart is affected, leading to damage of the heart muscle. If not treated in time, one in two people can die within one hour of a heart attack. A typical symptoms of Coronary Artery Disease are more common in the elderly, females and diabetic patients. How is Heart Attack diagnosed? How is Heart Attack treated? Every minute counts in a heart attack. Call 995 for the emergency ambulance or seek help immediately at the nearest Emergency Department if you suspect you have a heart attack. This should be performed early, and in certain situations, emergently, as it can be life-saving.Also known as Percutaneous Coronary Intervention or Stenting, this is a minimally invasive procedure that usually involves the ballooning of the artery to first open up the blocked artery, followed by the implantation of a Stent to act as a “scaffolding” to keep the artery open. If multiple arteries are blocked, especially in diabetic patients or if heart function is impaired, open heart bypass surgery may be recommended as the preferred treatment for Heart Attack. Heart Failure occurs when the heart to become too weak or too stiff to pump blood efficiently around the body. The chambers of the heart may respond by enlarging to hold more blood to pump through the body or by becoming thickened. This helps to keep the blood moving, but the heart muscle walls may eventually weaken and become unable to pump as efficiently, causing the body to retain fluid (water) and salt. If fluid builds up in the arms, legs, ankles, feet, lungs, or other organs, the body becomes congested, and “Congestive Heart Failure” is the term used to describe the condition. Heart failure is one of the leading causes of recurrent hospitalisation and reduced life expectancy in the world. Quality of life is also reduced in a heart failure patient. How is Heart Failure treated? There are many medications that have been found to help improve the survival and quality of life in heart failure patients. These medications act in combination to help control the symptoms as well as to improve the overall heart function and well-being. A diet low in salt and controlled fluid intake is important in maintaining the overall fluid status of a heart failure patient. Regular low- to moderate- intensity exercise is beneficial. Cigarette smoking should be stopped. Alcohol intake should be reduced. 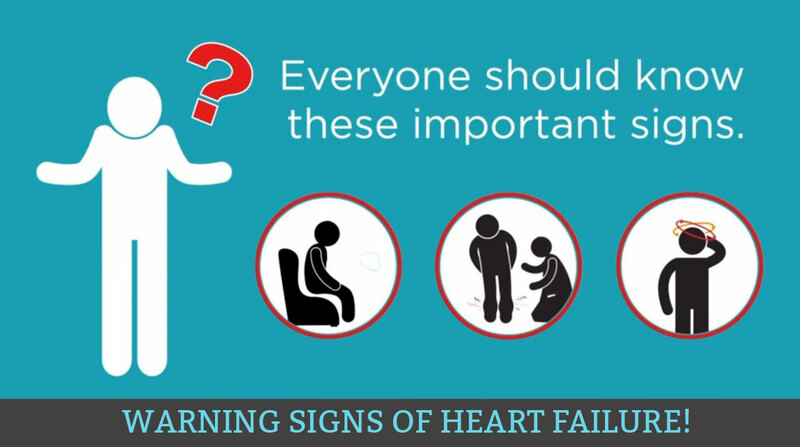 The most common cause of heart failure is Coronary Artery Disease. This should be evaluated and treated to give the heart the best chance of recovery. Other conditions such as Heart Valve Disease, hypertension, thyroid disease should be assessed and treated. Some patients with severely weakened heart are at increased risk of arrhythmias and Sudden Cardiac Death. Such patients will be recommended to implant an Implantable Cardioverter Defibrillator (ICD) or Cardiac Resynchronization Therapy-Defibrillator (CRT-D) to reduce the risk of such events. Some patients with Heart Failure continue to have significant limitations in their daily activities. They may require an Artificial Heart Pump (known as Ventricular Assist Device) to improve their symptoms and prolong survival. An irregular heartbeat is called an arrhythmia. A normal heart rate is 50 to 100 beats per minute. Arrhythmias can occur with a normal heart rate, or with heart rates that are too slow or rapid. Atrial fibrillation. Atrial fibrillation is a very common irregular heart rhythm that causes the atria, the upper chambers of the heart, to contract abnormally. Risk of stroke is increased in patients with atrial fibrillation. Atrial flutter. This is an arrhythmia caused by one or more rapid circuits in the atrium. Atrial flutter is usually more organized and regular than atrial fibrillation. This arrhythmia occurs most often in people with heart disease and in the first week after heart surgery. It often converts to atrial fibrillation. Risk of stroke is increased in patients with atrial flutter. Ventricular tachycardia (V-tach). A rapid heart rhythm originating from the lower chambers (or ventricles) of the heart. The rapid rate prevents the heart from filling adequately with blood. This can be a serious arrhythmia, especially in people with heart disease, and may be associated with sudden death. These are slow heart rhythms, which may arise from disease in the heart’s electrical conduction system. Examples include sinus node dysfunction and heart block. Significant sinus node dysfunction and heart block is treated with a pacemaker. Premature atrial contractions. These are early extra beats that originate in the atria (upper chambers of the heart). They are harmless and generally do not require treatment. Premature ventricular contractions (PVCs). These are among the most common arrhythmias and occur in people with or without heart disease. This is the skipped heartbeat we all occasionally experience. In some people, it can be related to stress, too much caffeine or nicotine, or too much exercise. But sometimes, PVCs can be caused by heart disease or electrolyte imbalance. People who have a lot of PVCs, and/or symptoms associated with them, should be evaluated by a heart doctor. However, in most people, PVCs are usually harmless and rarely need treatment. Paroxysmal supraventricular tachycardia (PSVT). A rapid heart rate, usually with a regular rhythm, originating from above the ventricles. PSVT begins and ends suddenly. Long QT syndrome. The QT interval is the area on the electrocardiogram that represents the time it takes for the heart muscle to contract and then recover, or for the electrical impulse to fire impulses and then recharge. When the QT interval is longer than normal, it increases the risk of a life-threatening form of ventricular tachycardia. Long QT syndrome is an inherited condition that can cause sudden death in young people. It can be treated with antiarrhythmic drugs, pacemaker, electrical cardioversion, defibrillation, implanted cardioverter/defibrillator, or ablation therapy. Most arrhythmias can be controlled with medication and avoidance of triggering factors, such as caffeinated drinks, removing offending medications. Patients with Atrial Fibrillation or Atrial Flutter may require blood-thinning medication to reduce the risk of stroke. If the bradyarrhythmia (slow heart beat) results in symptoms, a pacemaker may be implanted to prevent the heart rate from going too low. An ICD may be recommended for the prevention of sudden cardiac death in patients at risk of Ventricular arrhythmias. Some arrhythmias may require in-depth study involving insertion of catheters into the cardiac chambers. Radiofrequency ablation may be useful to eradicate the abnormal source of the arrhythmia. Heart valve disease occurs when the heart valves do not work the way they should. Your heart valves lie at the exit of each of your four heart chambers and maintain one-way blood flow through your heart. The four heart valves (aortic valve, mitral valve, tricuspid valve and pulmonary valve) make sure that blood always flows freely in a forward direction and that there is no backward leakage. Valvular stenosis. This occurs when a heart valve doesn’t fully open due to stiff or fused leaflets. The narrowed opening may make the heart work very hard to pump blood through it. This can lead to heart failure and other symptoms (see below). All four valves can develop stenosis; the conditions are called tricuspid stenosis, pulmonic stenosis, mitral stenosis, or aortic stenosis. Valvular insufficiency. Also called regurgitation, incompetence, or “leaky valve,” this occurs when a valve does not close tightly. If the valves do not seal, some blood will leak backwards across the valve. As the leak worsens, the heart has to work harder to make up for the leaky valve, and less blood may flow to the rest of the body. Depending on which valve is affected, the condition is called tricuspid regurgitation, pulmonary regurgitation, mitral regurgitation, or aortic regurgitation. Most patients with mild or moderate Heart Valve Disease do not need treatment. They will instead need routine surveillance scans to monitor the severity of the Heart Valve Disease. Patients with severe Heart Valve Disease may have to consider open heart surgery to have his/her heart valve repaired or replaced. For patients who are at increased risk for open heart surgery, they may also opt for a minimally invasive valve procedure called Transcatheter Aortic Valve Implantation (also known as TAVI / TAVR), Percutaneous Mitral Valvuloplasty (ballooning of the mitral valve), or Mitraclip. If there is associated heart failure, the appropriate medication can also help improve survival and quality of life. Peripheral Artery Disease, also called peripheral vascular disease, is a result of cholesterol-laden plaque build-up in the arteries supplying the body, such as the brain, kidney or limbs — a condition called atherosclerosis. Diseases of these vessels (most commonly blockages or abnormal enlargements (aneurysms)) can result in damage to that particular body part that it supplies. The Carotid Arteries are blood vessels supplying blood to the brain. Blockages in the Carotid Artery can increase the risk of stroke. Femoral, popliteal and tibial arteries supply the lower limbs. Blockages of these arteries can result in pain in the calves when walking (claudication), painful ulcers and gangrene. 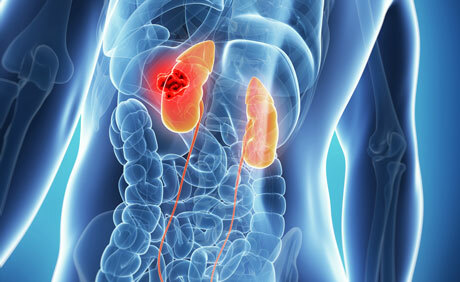 Renal arteries supplying the kidneys can impact on the kidney function. What are the symptoms of Peripheral Artery Disease? How is Peripheral Artery Disease diagnosed? How is Peripheral Artery Disease treated? Peripheral Artery Disease can often be controlled with medication. It is important to treat concomitant risk factors like Diabetes, Hypertension and High Cholesterol. The patient must stop smoking. Peripheral Angioplasty (or stenting) to unblock the affected arteries may help alleviate persistent symptoms. This procedure helps improve blood flow to the affected body part. In more severe disease, open surgery may be required. In the worst case scenario, the affected limb may have to be amputated. Treat the heart. Protect the brain.